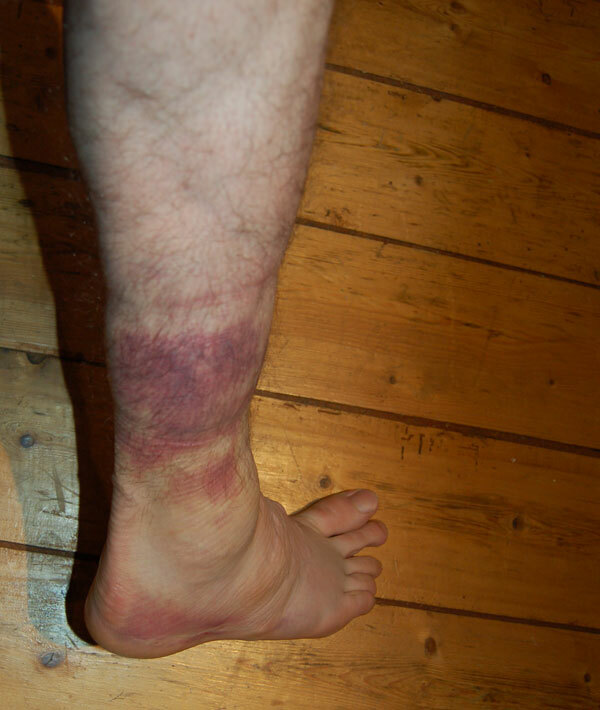 I tweaked my ankle at the SkatePark on thursday, I just thought I'd share my delightful apendage with you. Had the same thing happen many years ago coming out of the Mud Club. Big pain. Went to the hospital and the Doc told me it was avery bad sprain and a break would probably be better an heal quicker. I better make a runner for it...ah...slight problem there.